Hey don’t get worked up right away… Read first. Star Wars is a great saga, and its Sequels were ground breaking and great movies. If one shakes off the nostalgia and takes some time to look at these movies objectively, it is very hard to evade seeing the ways in which the Sequels come up much weaker than the Prequels. A few moves to the side, casual, easy steps, a few moves to back and front, a few pokes with the sticks, some non-connecting defensive rolling of the sticks, 2 large swings and that’s it. That’s because it is really two old men fighting. It didn’t need to be that way. They choreographed considerably better fights for the next movies, with each fight improving. Alec Guinness didn’t seem to be incapable of doing a bit more lively stuff. Just like in the later movies, even if they pale in comparison to the prequels. But no – instead one of the defining moments of entire saga is two old men poking sticks at each other, moving back and forth. Yeah, there are myriad of unnecessary back-forth flips, jumps and whatnot, but the whole thing gives an actual feeling of two or more people actually trying to mortally hit each other. There is effort, there is clashing, the combatants actually try to not give any openings to each other. That’s a yuuuuge gap there. You know that there are massive Galactic-scale events going on in 4, 5 and 6, but these are left in the background and are left unexplained. They go with small short lines like “Emperor dissolved the Senate” and “The power of this battle station will crush your Rebellion” and whatnot. Its more an action movie than an epic Space saga. That’s because the first 3 movies were intended to be as such – Lucas apparently was saying that he was going to make a movie in which spaceships fought like World War 2 aircraft with lasers. So, Episodes IV-VI are what they were intended to be – space cowboy soap operas. And they are very good at that. The grand story behind the events in the galaxy is left to viewers’ imagination – its possible that most of them weren’t even written then, therefore they were not told in the movies. Characters are at the forefront in sequels. A space jock saving people. A young kid with powers. An old man with a history. Some scary villain. 12-15 Rebel starfighters. Some of them ‘save the day’. The massive effort by the systems which joined rebels and set up that space fleet and fought all the way to bring things to that point are not told. It’s practically your run of the mill ‘hero saves the day’ story. All kinds of groups with all kinds of agendas duke it out in the prequels without totally knowing what their enemy is doing. People conspire, people forge alliances, people scheme, betray each other. And by people, we mean the leaders, representatives of millions and millions of people and millions of people themselves. A Galactic Republic can not fall with two space jocks firing their blasters here and there. The social upheaval and change amidst billions over billions of people can happen via events in which people only play small parts – mostly clueless, confused, even intimidated by the great events that are unfolding around them. It’s more believable. Its more real. In actual reality too, people play small parts in grand stages, and the sum of all their roles unfold to create grand events. Singular heroes do not save the day. Merely beholding the scenes in the Senate gives you a feeling how singular people are powerless in the face of galaxy-scale events, and people are swept by the winds of such events like leaves in the wind. It gives a feeling of a grand stage, powerlessness of the individual in events unfolding in a massive galaxy. There is action that happens in the prequels – but in contrast to soap opera nature of the sequels, the action in prequels happen in the grand context of gigantic events unfolding in the galaxy – they are small events which are small parts in a massive scheme, and the changes they bring individually, do not make or break the scheme. .. prequels are more for adults. 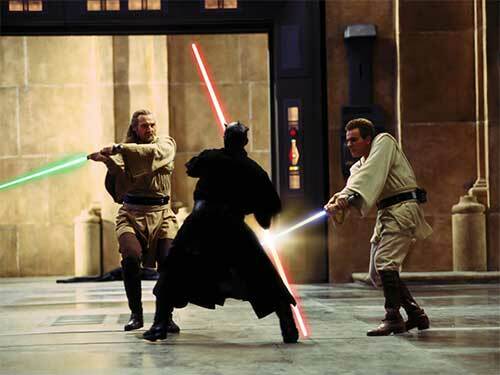 Yeah, you heard it right – acting is better in Prequels. From an eager Obi-Wan maturing from padawanhood to becoming Jedi, from him struggling with raising his own padawan to becoming a master, he is more believable. Anakin is more believable than Vader. 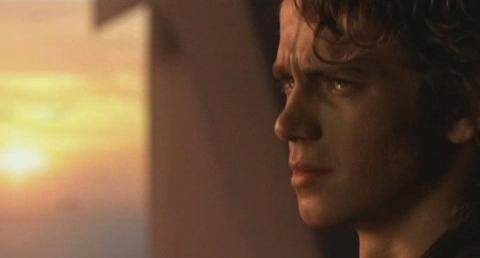 Oh hell yeah, you heard it right – Anakin is portrayed very well in the Prequels – some eager kid with burden of high expectations placed on his shoulder, struggling with fear of loss and childhood trauma slowly falling into delusions of grandeur and then paranoid schizophrenia and at the end totally breaking it. If you do any reading into it, you would find out that falling into paranoid schizophrenia or evolving into a mass murderer are not things that happen through ‘cool’ processes. Even Amidala works – Queen of a foreign, alien civilization with its own customs and history. You think she wouldn’t know how to put on a few more facial expressions during her stint in the movie as Queen? You think everyone in the set including director were so dumb as to not realize that this character was as stiff as a stick? Nah – she is the queen of a foreign, alien civilization which should be portrayed as it is. Not some bossy tomboy from a NY neighborhood – which was exactly who Leia was in the Sequels. From an unwilling (which he was, he didn’t want to take part in Star Wars Much) Alec Guinness dragging his feet in portraying Obi-Wan to Darth Vader having the emotional and movement range of a walking refrigerator, from Luke being an actual farm boy from somewhere from American Midwest to Solo acting like a standard action movie character of 1970s, from the ‘British accents for evil characters’ to ‘hero saves the day’, everything is type-cast in the Sequels. Sequels were made in 1970s and 1980s. These were times in which Hollywood still stuck to tried and tested formats – from casting of characters into known, successful molds to sticking to cultural biases of America. Concepts like extreme attention to realism, believability and authenticity within the sci-fi world whose story being told were not prominent as they are today. Sci-Fi settings were just vehicles molded after the culture and biases of contemporary times to tell a story which generally fell inside the biases and expectations of contemporary culture, and there were very few movies which broke that mold. Today we dub most of these as ground-breaking movies. Yeah, that entire galaxy is there, and it is filled with hominoids which only differ from each other in their head. The reality that environmental conditions on a planet would enforce particular evolution of all body types seems to have been lost. Simple – with the lack of CGI, its much easier and cheaper to put a headpiece on top of some extra to make an ‘alien’, that’s why. Hate CGI as much as you want, it brings so much into movies. 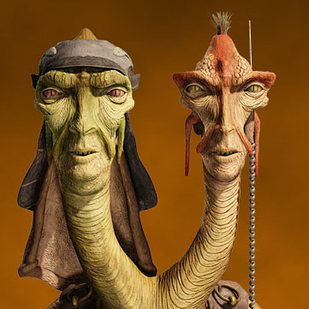 With CGI now you can have actual, differing aliens in sci-fi movies like Star Wars, and the galaxy wont look like it was created by a casting crew with headpieces. There isn’t one ‘normal’ character in Sequels, in entire freaking galaxy. Everyone is either cool, handsome or something of the sort. The most gritty characters in the Sequels are the bounty hunters and Jabba’s crowd, but bounty hunters just make a short appearance and Jabba’s crowd is found on one single planet. It’s as if entire galaxy aside from those are select cool types. It looks and feels unrealistic. It tells ‘This is a cool cast for a movie that is intended to be cool’. From the not so successful, not so pretty bounty hunter to Anakin himself slowly falling down to paranoid schizophrenia and totally breaking it, from crowd on the streets to the lot in the bar, prequels have more variety. Not everyone is cool there. Including Jar-Jar. Yeah… that was a habit in Hollywood until a decade or so ago: in any movie, the characters would sport the real world hairstyles of those days. So you would see Ben Hur with a sharp, 1950s hairstyle, you would see Ramses II with 1950s hairstyle, Cleopatra would look like she is fresh out of a hairdresser in Manhattan. Oh, and as white as a snowflake too. So, even historical characters were not spared of the habit, leave aside sci-fi. Flash Gordon, for example. Even earlier Star Trek episodes. All had contemporary hairstyles, with exception of a few characters. Que Stayin Alive. He sure will hit it in a Disco after the photoshoot. Note how he also holds the gun like an ashtray to avoid folding the shoulder of the jacket. Moreover, old habits that were remnants of earlier decades of Hollywood still linger in sequels – next time pay attention to how many characters in the sequels are holding pistols hold the pistols as if they are holding ashtrays – Solo, Lando – with their lower arm perpendicular to the ground, and their upper arm vertical, tucked well to their body. That is actually to prevent the shoulders of the jackets which they wear from making a bump and looking weird. 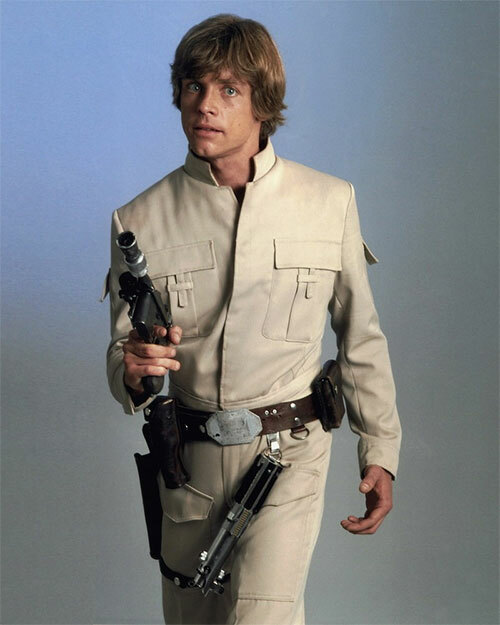 Its a remnant of movies of 1930s, 40s and 50s – back then majority of characters wore jackets, and if they held guns as how actually they should be held, the shoulders of jackets would make a weird bump due to shoulder pads and it would look ugly. So all characters would hold pistols like they were holding ashtrays. Those Hollywood habits changed in roughly 1990s. You would see an increasing attention being paid into authenticity and realism in story telling, if you check the major titles in order. Realism, as in realism of the world that is being told, of course – within acceptable limits. In the same line, the sequels have varying and authentic hairstyles and fashion. Care was evidently spent to make the world look real and alive as much as possible. 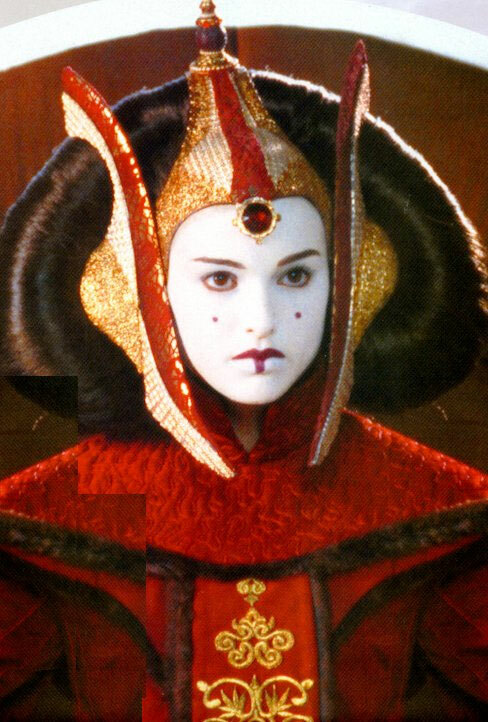 Even Amidala’s questionable hairdos. So, characters in sequels look like actual characters from a galaxy far, far away, instead of someone who you could bump into while going around the block in your neighborhood. It makes the world more believable, more real and alive within itself. And I will possibly list more in the future. But I will stop for now. Even this much should be enough. The fact of the matter is that, when we watched and loved the sequels back in earlier decades, our expectations were quite low. And the gaps in the movies were filled by our imagination. As time went by, nostalgia also kicked in – and the sequels gained a higher status in our memory than what they would deserve if we watched them in contemporary times. Though, that’s the same with anything – from games to old habits. When your imagination fills in the untold narrative, you create your own world and your expectations shape along with what you create. And when the result does not fit your expectations, regardless of how accurate, real, logical or better it may be, it is perceived as a failure. But, to any viewer who can be objective to a small degree, watching the Sequels without the glasses of nostalgia and imagination of the past decades shows a lot of things which s/he did not see before, or overlooked. ← Party like its 1888 on Twitter with 140 character limit. Stop.